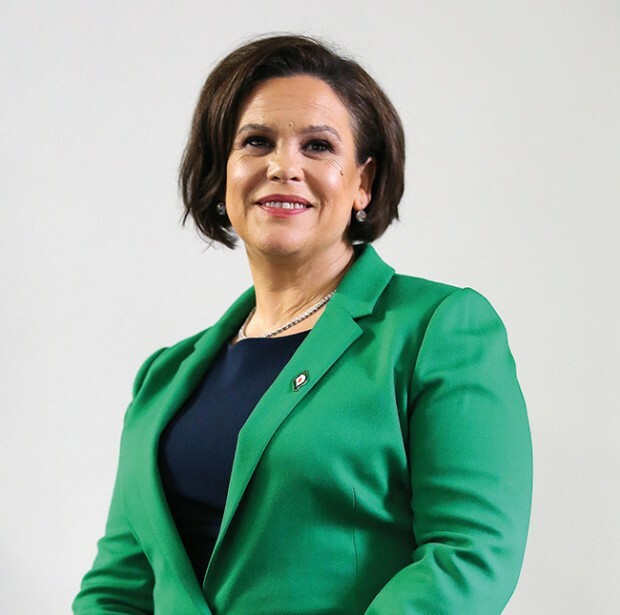 In this interview for the first edition of the new magazine format of An Phoblacht, new Sinn Féin leader, Mary Lou McDonald, has said she wants to lead a dynamic, vibrant and diverse party into government north and south. In a wide ranging interview, the new Uachtarán Shinn Féin talks about her family, her background, introduction to politics and her vision for the future of Sinn Féin and Ireland. The Dublin Central TD was elected as Sinn Féin leader, taking over from former President Gerry Adams, at a Sinn Féin special Ard Fheis in the RDS in February. 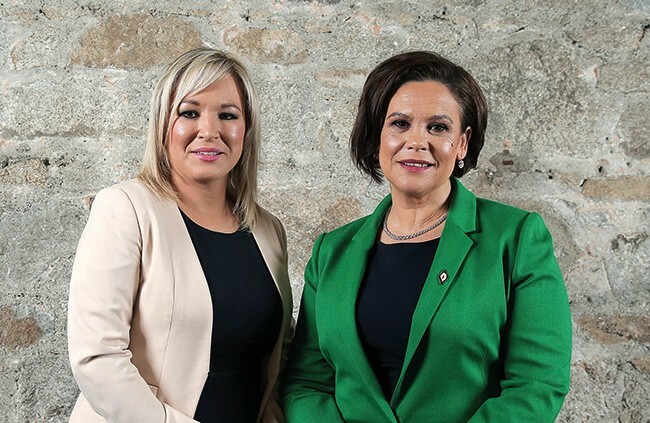 At the same Ard Fheis, Michelle O’Neill was elected as Deputy Leader of the party, a position formally held by Mary Lou McDonald. 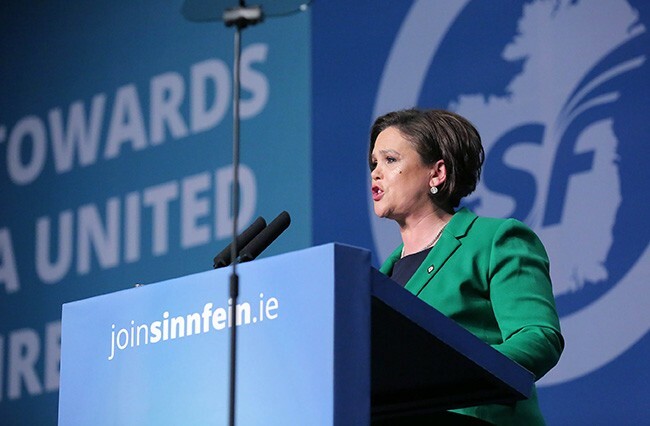 Mary Lou McDonald has been a familiar face on the political scene in Ireland for many years, having represented Dublin in the European Parliament from 2004 to 2009 when she became vice-president of Sinn Féin. She was elected to the Dáil for the Dublin Central constituency in 2011, a seat she has held since then. While the new Sinn Féin President is well known and well respected across the country and further afield, many people may not be aware of the person behind the politician. Here she discusses her influences and motivations and her vision for republicanism across the island. » How does it feel to have been elected as Sinn Féin President? I am so proud and honoured by the confidence entrusted to me by the party membership. It’s a little daunting on a personal level. That said I’m ready, and I believe we as a party are ready for the challenges and opportunities ahead. I’m surrounded by a great team of really talented and determined people who like me are looking forward to this next phase in the party’s development. » What kind of leader will you be? I think I am approachable. I’m a good team player and I’m a strong believer in the benefits of teamwork. I can be impatient. Leadership is about rolling up your sleeves, sorting things out and getting things done. I also believe it’s important for leaders in all spheres of life but particularly in politics to be true to yourself and to bring your own political instincts, political priorities, approach, and personality to the work you do. » Tell us a little bit about your childhood? My mother Joan is fantastic. She is a very steadying influence for me and our family. Our extended family are close. I have two brothers and a sister with whom I had good craic growing up. We had a very regular, happy childhood. I loved my school and I had great friends. I did all of the things kids should and should not do as I was growing up. My mother is from Tipperary so we would spend all our summers in the Glen of Aherlow with my grandmother Molly who was a huge influence in my life. » You have two children? I do, Iseult and Gearóid and I’m married to Martin. We live in Cabra which is a fabulous community. The kids go to school locally. Gearóid is 11 and a fanatical hurler. Iseult is14 and she is smart as a whip. Martin is an enormous support to me. I simply could not do what I do without his support at home and with the children. My biggest wish for my children is that they are happy, and I want this for all children on this great island. I expect them to work hard, they know that. Perhaps more importantly I expect them to always to do their best, that matters to me. When you’re young there is a great life lesson in applying yourself to something and whatever it is you do in life, that you do your best and that you pursue things that you believe in. » What were the political influences on your life growing up? My grandmother Molly, who lived in the Glen of Aherlow. She was hugely important in terms of how I understood life and politics. I learned a lot from that deep republican sentiment that Molly had. My mother is also very political, not just in terms of national politics, but international. Growing up we would sit at our kitchen table and debate things that were happening all across the world. » Why did you become politically active? Mostly because of events all around me, what was happening in the north but also I could see the increasingly disparity between the haves and the have nots, and I understood it doesn’t have to be this way. We have nothing to lose and everything to gain from equality of opportunity. » Why did you decide to become active in Sinn Féin? At that point I decided not alone that I would be politically active but that Sinn Féin would be my political home. » What do you like best about being a public representative? Politics is a tough game and it’s still tougher for women. Yet every day I meet people in my own constituency and beyond who let me into their lives and share their experiences. That’s a huge privilege. I also get to lead of team of remarkable selfless elected representatives across this island who like me want to tackle inequality and manage the economy to the benefit of all. I work alongside the best of the best. What more could a woman want? What’s your aspiration for Sinn Fein? I want to lead a very dynamic, vibrant and diverse party. One that is friendly, welcoming, has a real sense of purpose and is clear on its direction. I believe that we will be in Government north and south to deliver real changes across Irish society. Universal healthcare and significant investment in childcare to better support families; secure work and a living wage; investment in infrastructure and rural Ireland to develop an economy that works for everyone. We have big ideas, and all we ask is for the opportunity to prove we can deliver on them.